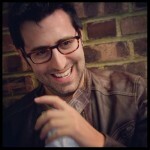 Cory Pattak is a New York City based Lighting Designer and host of in 1: the podcast. Credits include Final Follies (Primary Stages), Stalking the Bogeyman (New World Stages), Revolution in the Elbow…(Minetta Lane), Handle with Care (Westside Theatre), C.O.A.L., Witnessed by the World, Do Not Disturb (59E59), Skippyjon Jones (Theatreworks USA), This Side of Paradise (St. Clements), Unlocked, Nymph Errant, With Glee, The Blue Flower (Prospect Theatre), Hot Mess in Manhattan (Chernuchin), Ingmar Bergman’s Persona (HERE), The Maiden’s Prayer (InProximity Theatre), Dreyfus in Rehearsal (Beckett Theatre), Mercy Thieves, Ride (Outhouse Theatre), They’re Playing Our Song, Our Town (Actor’s Fund), Thank You Kind Spirit (Target Margin), Happy We’ll Be (Roseland Ballroom), Freddie Falls in Love (Pershing Square-Diamond Stage), Spitting in the Face of the Devil (United Solo Fest) and many NY Fringe and NYMF shows. Associate/Assistant: Newsies (Paper Mill, Broadway, US Tour, Theatrical Film), Peter and the Starcatcher (NYTW, Broadway, New World Stages, US Tour – Tony Award), A Time to Kill, An Evening..Patti Lupone & Mandy Patinkin, The Story of My Life, Irena’s Vow (Broadway), Heathers: the musical (New World Stages), Band Geeks, How to Succeed… (Goodspeed), Daddy Long Legs (Off-Broadway/Various Regional/London), Chicago, Wizard of Oz (US Tours), 42nd Street (TOTS Tour), Side Effects (MCC), Paint Your Wagon, Lost in the Stars, Where’s Charley (Encores! ), The Devil’s Music (St. Lukes), Shamu’s Xmas Miracle (Seaworld), Gem of the Ocean, I Am My Own Wife (Pittsburgh Public), Essential Self-Defense, Rapture Blister Burn (Playwrights Horizons), The Internationalist (Vineyard), Altar Boyz (Adirondack Theatre Fest), The Yellow Brick Road (Theatreworks USA), and multiple years of BC/EFA Easter Bonnet and Broadway Backwards.